Face to Face (F2F; Face 2 Face) is a marketing term used to describe direct marketing to consumers, usually by Promotions and Field Marketing Staff. A company or Brand may want to use Face To Face Marketing in order to increase brand awareness in a certain catchment area, or will use Face to Face as a tool to directly drive sales. However you use Face to Face is up to you, but one thing is for sure - the quality of the Face to Face staff that you use will reflect on your brand image, and perception of your company. Do you want your Face 2 Face Marketing to be successful? Sign up now to locate the best Face to Face Agencies in the UK. 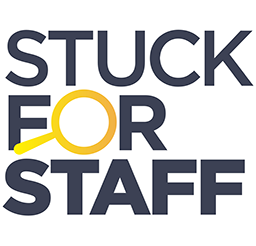 If you are an Agency that employs Face to Face staff, then you can find the UK's largest database of Face To Face Marketing staff at StuckForStaff. All experienced with many Face 2 Face campaigns to their name, you can be sure that your Face to Face clients get the marketing ROI they deserve.